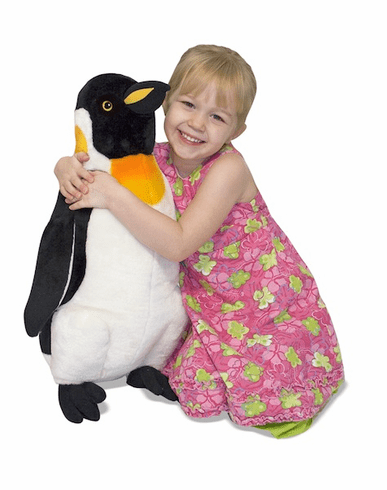 Bring the South Pole to your own home with the Melissa & Doug Plush Penguin. The perfect companion for any little girl or boy, the Plush Penguin is made of the softest fabric and is perfect for any animal-themed nursery or play area. Measures 23.5 x 17 x 9.8.